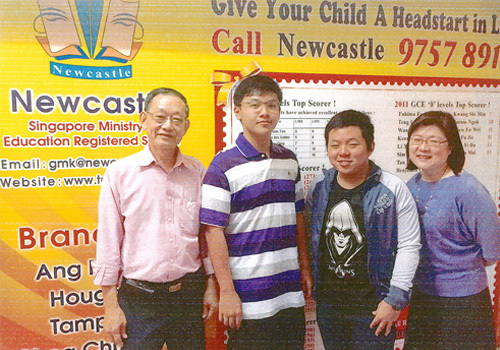 Our student, Chua Jia Wei was with Newcastle since Primary 2. Jia Wei has achieved 8 As in the GCE "O" examination. After 9 years of nurturing, he has become an independent learner with self-discipline and always clarify his doubts during the tuition classes in Newcastle.